Email is supposed to make life easier and more efficient, but often it makes things harder and cuts into job productivity. To get more done in less time, you need to take charge of your inbox, technology author Dave Johnson writes. 2. Adopt a one-touch rule. It’s easy to get into the habit of reading a message, deciding you don’t want to deal with it and then moving on to the next—only to have to come back to the original message later. This is hugely inefficient, so make a rule that you will handle each message only once. 3. Install a snooze button. There are exceptions to the one-touch rule. Some messages require additional information or can’t be answered until a task has been completed, so you may not be able to answer them immediately. For these it’s best to use a “snooze” function, which takes the message out of your inbox and brings it back at a time of your choosing. If you use Gmail on an iPhone, Mailbox is a good choice. For PC users, Boomerang is a similar service. 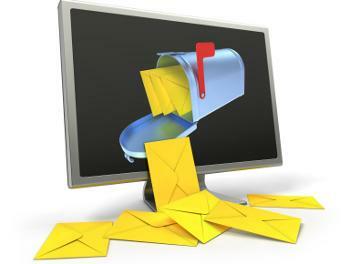 And for a monthly fee of about $6, Sanebox works on any email service. 4. Take advantage of stock re­­plies. While some email certainly does require a personal response, much of it doesn’t. Create stock replies or canned responses for the basics and use them to save yourself time. — Adapted from “Effective strategies to defeat your email inbox,” Dave Johnson, CBS MoneyWatch.